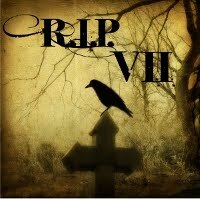 September through October marked the R.I.P VII "challenge", hosted by Carl V. over at Stainless Steel Droppings. Carl is seriously good at hosting these things and has very few quibbles about participation (which is partially why they are so fun), so if you are looking for book challenges, his are pretty boss. This was my first time participating in RIP but I was shocked and amazed that the final tally for reviews was somewhere around 600! Sadly, I only managed one entry. Lame. I know. But it was also a film I'd been meaning to get around to for years, so I was still pretty happy for the opportunity. If you missed it, it was especially nasty and had me double checking our door locks. I watched Jean Rollin's The Living Dead Girl. It was certainly an experience. A Monster Calls by Patrick Ness - Reviewed @ omphaloskepsis. L is one of my favorite book reviewers and she didn't disappoint here; this one had me really wishing for a little extra time to fit in a book that looks FOR REAL. We Need To Talk About Kevin by Lionel Shriver - Reviewed @ Devouring Texts. I remember seeing trailers for the film and not much else. Was surprised, happily, to find it was a book first. And a good review to boot! Run by Blake Crouch - Reviewed @ The Guilded Earlobe. I like zombies and I liked Phil Gigante's reading of The Stainless Steel Rat, so I was pretty psyched to hear about what sounds like a pretty sweet combination! Full Dark, No Stars by Stephen King - Reviewed @ Page Plucker. Here again I saw a title I liked. Another interesting review of SK that makes me feel even more like my 10+ year hiatus needs to end. aw thanks! and I love that you do these links and I will be checking them out. yeah, I'm the only one who can stand the stuff here which only makes it an even creepier experience because I only watch them when I'm home alone and vulnerable without my women protecting me (I was absolutely serious that I had to physically double-check the locks!). That is a fantastic idea, linking some of the reviews you liked. I like it! I'm glad you participated even if you just got to the one film. Given it was something you had wanted to see for awhile that makes it even better. Thanks, hope you are on board for the Science Fiction Experience coming up soon! Yes, it was a great excuse to force myself to watch it finally! And I can't wait for the 2013(already!!) Science Fiction Experience. I still have some titles waiting for me from last time. I'll still be slogging happily through the Hugo's no doubt.